A Saturday evening in February is never the date to mark your cards for what you will expect to happen later on in the Summer. 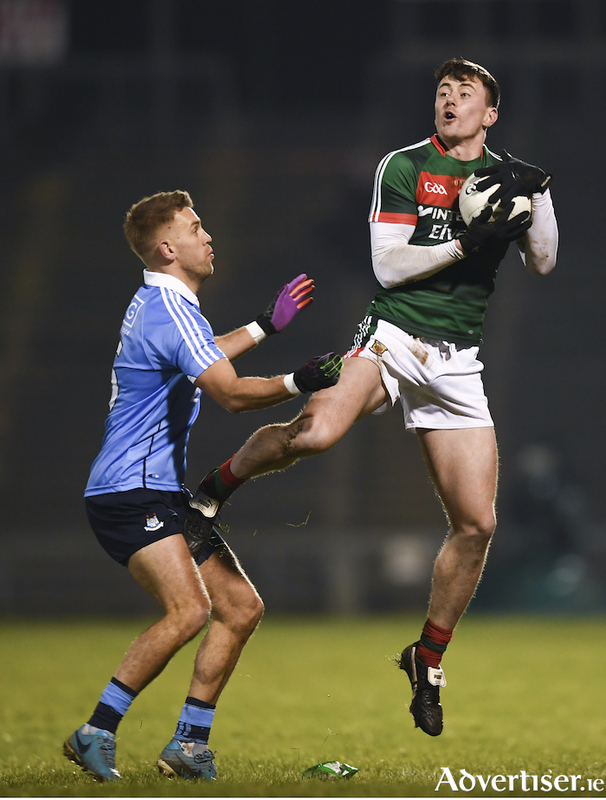 But since Mayo got off to a winning run in this year's National League and picked up win number three against Cavan a fortnight ago, all eyes have been firmly focused on tomorrow night in Croke Park. Dublin are the yardstick, barometer or what every measurement tool you want to use to gauge your progress in the game. That comes with caveats of course at this time of the year - Dublin have lost twice already - going down to Monaghan in round one and then to Kerry on the same night as Mayo beat Cavan and in between, they dismissed Galway with relatively little fuss. While Jim Gavin definitely won't say it, nor his players, the drive for five All Ireland titles in a row is what this year is all about for Dublin. Their sluggish start to the league can be put down to a number of factors, including coming back to training later than everybody else; their first game away to Monaghan was a tricky encounter against a top level side who were the last team to beat them. Their game away to Kerry in a sold-out Tralee was never going to be easy - as the young Kingdom stars, who are expected to be the challengers to Dublin's throne in the years to come, were chomping at the bit to take a bite out of the Dubs - but when it came down to it that day it took a late, late Peter Crowley point to see Kerry home as Dublin reeled in Kerry's lead over the final ten minutes. The Dubs are starting to get moving now and after a week-long break, they should be a bigger, better and bolder opponent for Mayo than they would have been if this game was in one of the earlier rounds of the league. But that is good for Mayo - they beat Roscommon and Cavan as they would have been expected to do at home, their win over Tyrone was an accomplished performance, but Tyrone have not looked like the team that got to the All Ireland final last year just yet, so you don't know what you can take from that one for now. However the confidence in the Mayo camp will be high and with six points in the bank at this stage of the league, they can be fairly sure they won't have to be looking over their shoulder to avoid the relegation scrap at the end of the competition; and tomorrow night gives them a chance to lay down a marker against the best in the country - a team they have not beaten since 2012 (when they beat them in both league and championship in fact ). That league win in 2012 came at the second time of asking after the first game had to be abandoned due to the settling of a blanket of fog on the MacHale Park field on the first night. Mayo have plenty of survivors from that win who have seen action in the league this year with David Clarke, Keith Higgins, Lee Keegan, Donal Vaughan, Colm Boyle, Aidan O'Shea, Kevin McLoughlin and Andy Moran all starting in that one and Jason Doherty coming on as a sub - and all nine are still in prime positions for a starting berth again tomorrow night, seven years later. The experience and quality these players bring is vital to the Mayo cause, but what a lot of people will be more interested in is how the younger brigade do, if given the chance. So far in the league James Horan has given the chance to show what they have to Brian Reape, Fionn McDonagh, Michael Plunkett, Ciaran Tracey, Matthew Ruane, Conor Diskin, James McCormack and Colm Moran - how the likes of these players handle the occasion and being on the big stage is where a lot of eyes will be drawn. Horan has shown faith in them and been rewarded already, he will more than likely give a good number of these young players the chance to show what they have again this weekend and they have shown enough already to think they will embrace it and relish it. Neither side's season will be defined by what happens tomorrow night, you would expect, but if Mayo can pocket the win and the two point, it will lay down a serious marker of intent and add that little bit of extra belief in their bellies - should the teams meat again come championship time.